Tailored from a fabric that is currently being worn by 1000’s of happy wearers. Used in our collections for more than 10 years this is a truly tried and tested, mid weight Poly/Wool/Lycra. 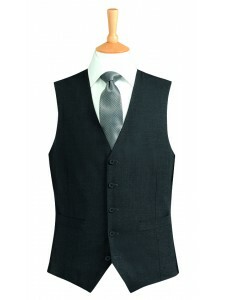 Some of Europe’s largest companies wear a suit from the Evolution Collection. From front of desk at London’s best hotels to a number of high profile transport companies. All enjoy the comfort and high level of performance that Evolution gives. Ladies three button tail coat jacket3 Button JacketAvailable in sizes 6-18 Fittings - Regular O..
Men's two button jacket2 Button Jacket Available in sizes 36-50 Fittings - Short..
Ladies three button jacketClassic style Notch lapel Available in sizes 6-24 Fit..
Ladies two button jacketRounded lapels Four panel back Available in sizes 6-24 Fittin..
Ladies three button jacketTulip lapels Four panel back Available in sizes 6-24&n..
Longline SkirtVents front and Back Available in sizes 6-24Fittings - 34in length onl..
Men's TrouserSingle pleat front 2 hip pockets Belt loopsAvailable in sizes 28-50..
Men's TrouserFlat front 2 hip pockets Belt loops Sizes 28-50&nbs..
Ladies TrouserParallel leg Zip front Available in leg lengths 29", 31", 34" and U/F 37"Col..
Ladies TrouserLow waisted Zip front 2 mock hip pocketsBelt loops Flared leg Avai..
Ladies WaistcoatLadies 4 Button WaistcoatFeature Lining4 Button FasteningFabric BackFabric: 64% Poly..
A smart great fitting waistcoat that looks great with or without your jacket on.– 5 Button Fastening..
Pencil SkirtStraight Skirt Back Vent Top stitched front pannel Available in sizes&nbs..